Charleston holds a certain significance in military history, as not only is it where the first shots of the Civil War were fired, but it’s also home to a famous WWII aircraft carrier, and the site of a log fort that dates back to 1776. And although access wasn’t a top priority — or even an afterthought — in Charleston a few hundred years ago, today this military-themed trifecta is a very doable itinerary for wheelchair-users and slow walkers. On April 12, 1861 the Confederate artillery fired on Fort Sumter (www.nps.gov/fosu/) in Charleston Harbor, and for the next four years America became embroiled in a conflict that at times pitted brother against brother. And today you can tour the historic fort where it all began. 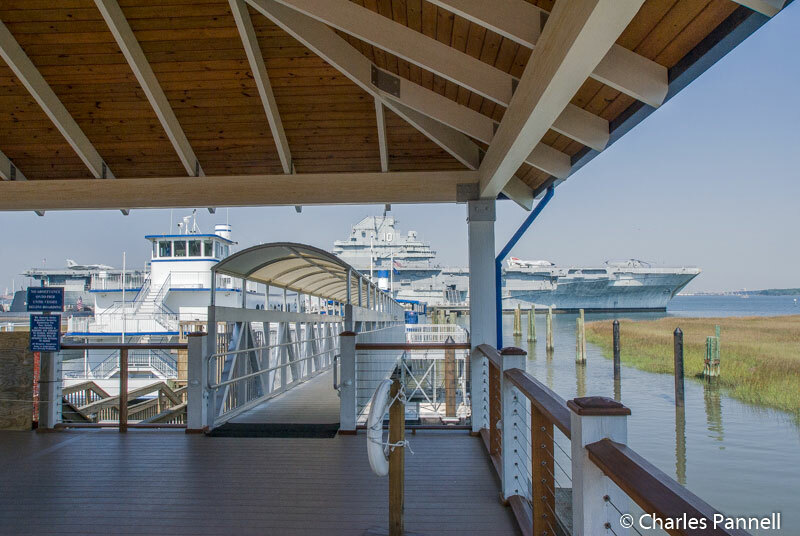 Ferry transportation to the island fort is available from Liberty Square in downtown Charleston and Patriots Point in Mt. Pleasant. There’s ramp access to the boats at both locations, so it’s easy to roll aboard. After you dock on the island, you’ll find barrier-free access over to the fort, and level access to the parade grounds through the Sally Port entrance. There are dirt and brick pathways around the interior of the fort, and it’s easy to follow the self-guided tour. A ranger-led talk usually follows every ferry arrival, which makes for a good introduction. And although there are a few uneven spots around the parade grounds, it’s still very doable in dry weather. Unfortunately the second level of the fort is only accessible by stairs, however you can still get a good feel for this historic site from ground level. Docked in Patriots Point, the USS Yorktown (www.patriotspoint.org/explore/uss-yorktown) is also worth a visit. Commissioned in 1943 she played a major role in the Pacific offensive in World War II, and was a military workhorse until her last mission in 1968, when she recovered the Apollo 8 astronauts. Today, there is lift access to the hangar deck, with elevator access up to the flight deck. All other areas are only accessible by stairs, but there’s still plenty to see on those two decks. Accessible restrooms are also located on the main deck, near the snack bar. 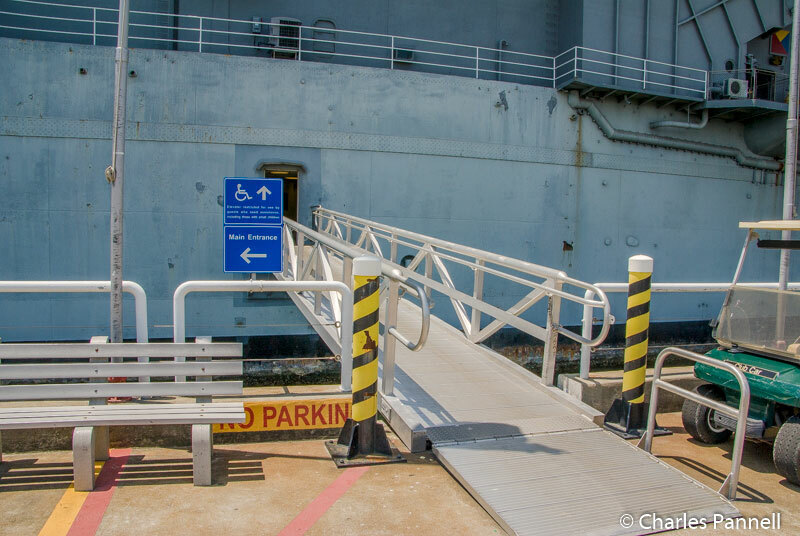 On the hangar deck there is level access to the Naval Yard Museum, which features old photos, ship models and other equipment from the shipyard. 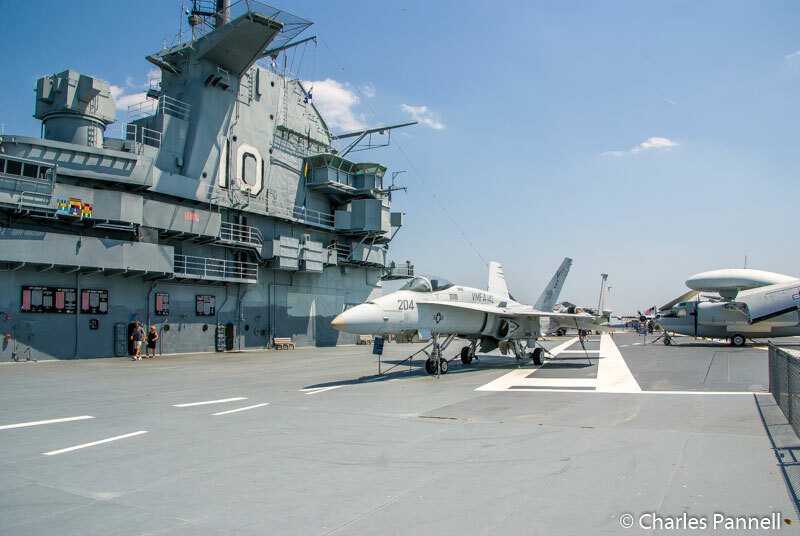 And although there are a number of military aircraft on display on the hangar deck — including a F6F-5 Hellcat — the bulk of the collection is located on the flight deck. Up there you’ll find an UH-1M Huey, a F-14A Tomcat and even a F-18A Hornet. It’s a great collection, and a must see for aircraft junkies. As an added bonus, the flight deck is very spacious, with plenty of room to wheel around the airplanes. Last but not least, save some time to visit Fort Moultrie (www.nps.gov/fosu/). 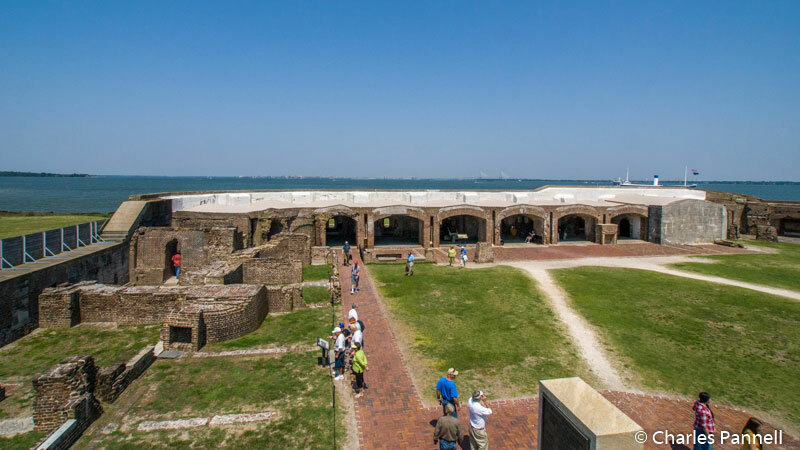 Also known as the Palmetto Fort — because it was originally constructed from palmetto logs — this island fort is just 15 minutes south of Fort Sumter, and easily reachable by a bridge. Constructed in 1776 to protect Charleston Harbor, it was soon discovered that the log walls of Fort Moultrie were not the best choice for a coastal fort. After suffering heavy damage, it was rebuilt in 1798 — this time with earth and timber. Unfortunately that version suffered the same fate as her predecessor, so it was rebuilt one final time in 1809 using bricks. Today the fort displays a wide range of weapons and fortifications, which reflect the changes that evolved in the 200-year history of coastal forts. Access is good at the fort, with plenty of accessible parking near the visitors center. Inside, there’s barrier-free access the interpretive exhibits, and level access to the fort across the street. The fort itself boasts cement pathways around the parade grounds, which are fairly doable for most people. The self-guided tour is certainly wheelchair-accessible; however the ranger-led tour has a few steps, as it goes inside some of the structures. When touring on your own, make sure to take the path to the right from the parade grounds, as the one on the left is steeper. Admittedly, some manual wheelchair-users may need a little help up this part of the trail, but it’s still pretty doable for most people. 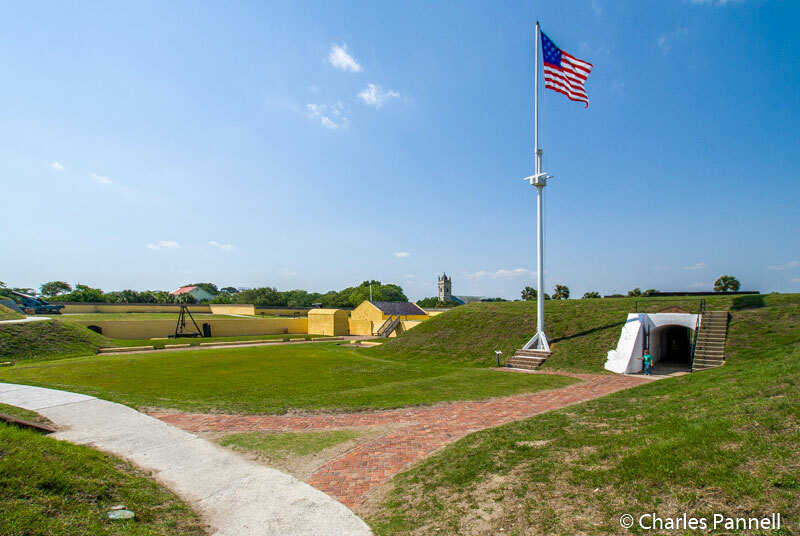 All in all, Fort Moultrie is an excellent place to get a primer on Charleston Harbor history; and it’s a great place to top off a Charleston military history tour.